Is your home prepared for severe weather and the threat of a major power outage? As homeowners, we rely on electrical power for almost everything, and with increasing stress on our power grid, it’s important to have a secondary option such as a backup generator. Jaffe Electric can help with residential backup generator installation and repair in Maryland, Washington, DC, and Northern Virginia, including Montgomery County and its surrounding areas. Since 1992, homeowners have trusted our experienced electricians to install and maintain backup generator systems at an affordable rate. Make sure your home will never be without power: Call Jaffe Electric at (301) 253-3778 or contact us online to get a free estimate on a backup generator in Maryland, Washington, DC, or Northern Virginia! A backup generator is a smart investment for your home, since you never know when an outage will happen, and you don’t want to be stuck without power for hours or even days. Whether an outage is caused by storms or bad weather, or it is due to a blackout from your service provider, your backup generator will automatically kick in, providing enough power to have the appliances you need the most working until electricity is restored to your property. At Jaffe Electric, we’ll work closely with you to decide on the appropriate generator solution for your home. When it comes to the size of a generator, it will depend on the space you have, and which appliances you need to work in an outage. Our electricians have experience installing all types of generators in a variety of homes throughout Maryland, DC, and Northern Virginia. We install industry-leading generator brands, Generac and Kohler. 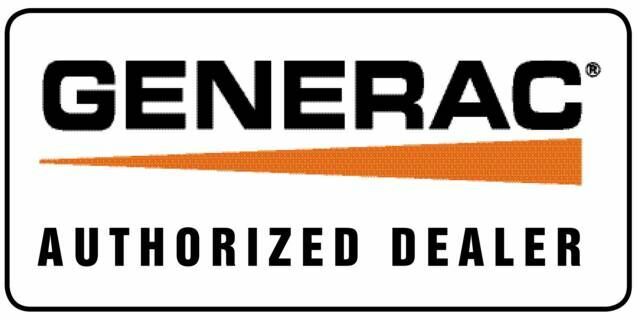 Call (301) 253-3778 to get a free estimate on Generac and Kohler backup generator installation! If your generator is leaking fuel, not turning on, or isn’t functioning as it should, contact Jaffe Electric online or call (301) 253-3778 for residential backup generator repair in Maryland and throughout the DC and Northern Virginia area. To schedule generator maintenance from Jaffe Electric, call us at (301) 253-3778 or contact us online to schedule service. Since 1992, Jaffe Electric has been committed to providing total customer satisfaction at an affordable price. All of our electricians are licensed and insured, and work hard to build lasting relationships with all of our customers. If you need any type of backup generator service such as installation, repair, or routine maintenance throughout Montgomery County, MD and the entire Washington, DC area, Jaffe Electric has you covered. Request a free estimate on residential generator services today by contacting Jaffe Electric online or calling (301) 253-3778!